Mill Creek Entertainment has tabbed Aug. 2 as the street date for DVD and Blu-ray editions of director Robert Lieberman’s 1996 epic mini-series, Titanic, starring George C. Scott as the captain of the doomed ship, Captain Edward J. Smith. Others in this all-star cast include, Peter Gallagher, Catherine Zeta-Jones, Eva Marie Saint, Tim Curry, Kevin McNulty and Marilu Henner as the iconic Molly Brown. As with director James Cameron’s theatrical smash of the same year, Lieberman (Fire in the Sky, Table for Five, etc.) 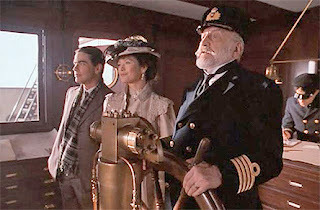 blended fictional characters — in this case three separate stories — with both the actual events (his mini-series was the first film to show the ship actually breaking in two) and the crew and celebrities who sailed on the ill-fated voyage. 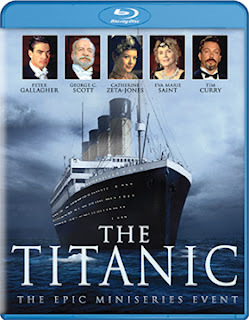 The Blu-ray and DVD releases of Titanic from Mill Creek Entertainment on Aug. 2 are just the “tip of the ice berg” as ten additional DVD releases are also slated to ship to retail on same date. 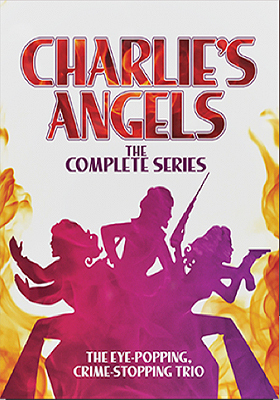 Included in the mix are two additional mini-series, priced at just $14.98 each: World War II: When Lions Roared - The Emmy-Winning Mini-Series, starring John Lithgow as president Roosevelt, Bob Hoskins as Winston Churchill and Michael Caine as Stalin, and The Devil's Mistress (aka: The Devil's Whore), a four-part historical drama starring Andrea Riseborough (The Silent Storm, Oblivion, Birdman, etc.) as the fictional Angelica Fanshawe opposite Dominic West (as Noah in The Affair TV series, plus such films as Money Monster, Centurion, etc.) as Oliver Cromwell. 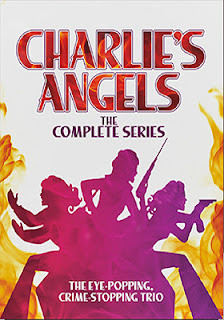 Also drawn from the TV arena are Charlie's Angels: The Complete Series, a massive 20 disc set featuring all 110 episodes of this action series starring Kate Jackson, Cheryl Ladd, Farrah Fawcett, Jaclyn Smith, Shelley Hack and Tanya Roberts as the various “Angels” who work for the disembodied Charlie (voiced by John Forsythe) and the short-lived Cashmere Mafia: The Complete Series (a double-disc set), starring Lucy Liu, Frances O'Connor, Miranda Otto and Bonnie Somerville. Also on Aug. 2 is the DVD release of Milton Berle's Low Impact/High Comedy Workout, a fitness program that is combined with heavy doses of “Uncle Miltie’s” humor … bonus goodies include four episodes from The Milton Berle Show featuring Frank Sinatra, Peter Lawford, Carol Channing, Ronald Reagan, Dolores Grey and Zsa Zsa Gabor. 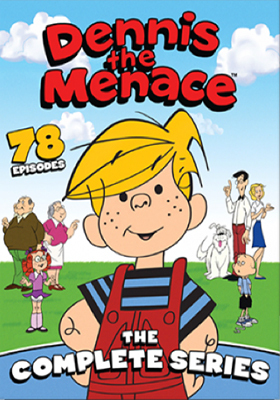 Rounding out the Aug. 2 “title wave” are five KidVid selections: Dennis the Menace: The Complete Series (animated, a nine-disc set), Heathcliff: The Complete Series (also nine discs), Talk to the Animals (10 adventures featuring animals and humans interacting … hosted by Nicky Buckley and featuring veterinarian Dr. Chris Brown) and two new Baby First releases (each with a bonus CD) — Baby First: Out and About! and Baby First: Color Crew - Shades of Fun. For more information on these Aug. 2 product offerings from Mill Creek Entertainment, or other titles from the company’s extensive library of DVD and Blu-ray releases please visit the company’s website at: millcreekent.com. 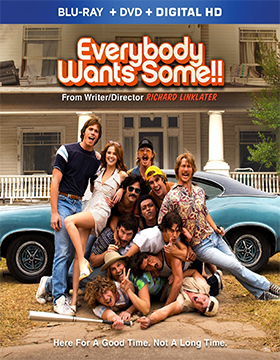 Paramount Home Media announced this past week that writer/director Richard Linklater’s latest film, Everybody Wants Some! !, will be making its way to the home entertainment market place as both DVD and Blu-ray/DVD Combo Pack product offerings on July 12. The film opened this year’s South by Southwest festivities and then a platform launch of the film was attempted beginning in April … reaching just 450 screens before fading. Despite rave reviews and filmmaker Richard Linklater’s cultish film track record — Boyhood, Dazed and Confused, SubUrbia, etc. — Everybody Wants Some!! never found an audience (theatrically speaking). We’re beginning to wonder if the traditional “platform” release of a film is working any longer. It seems that it takes 3,000 screens and big launch splash to capture an audience these days … so how do you risk the cost of P&A blitz that easily exceeds the production budget of the film itself? Tough question; tough times! In any case the next stop is VOD/HD and home entertainment where a wider audience will be afforded the opportunity to discover this film … it is often referenced as something of a “spiritual” sequel to Daze and Confused. For the record, the ARR is 102 days and domestic ticket sales from the film’s limited theatrical break currently stand at $3.4 million. There were three additional product announcements from Paramount Home Media this past week … all related to TV series collections heading arriving on DVD in August. 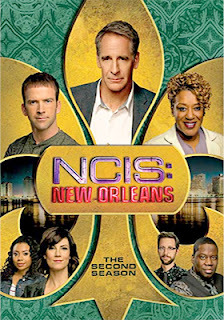 Streeting on Aug. 9 will be NCIS New Orleans: The Second Season, a six-disc set featuring 24 new cases for Scott Bakula and his crew, including newbie former AFT agent Sonja Percy (played by Shalita Grant) to deal with, including a “cross-over” case that involves Mark Harmon, Pauley Perrette, Emily Wickersham and David McCallum from the original NCIS series. Bonus goodies for fans to enjoy include selected episode commentary options, deleted scenes and a quartet of production featurettes. 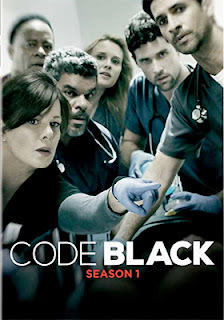 Also heading to DVD on Aug. 9 is Code Black: Season One, a five disc set featuring all 18 episodes of the life-and-death drama that unfolds at Angels Memorial Hospital involving first-year residents — Dr. Lorenson (Bonnie Somerville), Dr. Pineda (Melanie Chandra), Dr. Leighton (Harry Ford) and Dr. Savetti (Benjamin Hollingsworth) — and the ER Residency Director, Dr. Leanne Rorish (played by Marcia Gay Harden), and her staff who guide them through their paces. 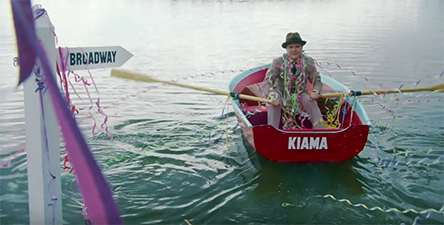 Bonus nuggets include a gag reel, deleted scenes and a trio of production featurettes. Shifting to Aug. 16, the steamy Showtime series, The Affair — starring Dominic West), Ruth Wilson), Maura Tierney and Joshua Jackson — returns with a five-disc, 12-episode serving of The Affair: Season Two. Bonus goodies include two featurettes — “Tour of Montauk” and “Memory Lanes” — Character Profiles and both the pilot and first episode of the new Showtime series starring Paul Giamatti and Damian Lewis, Billions. Wolfe has selected Aug. 9 for the DVD debut for Aussie filmmaker Gillian Armstrong’s latest gem, Women He’s Undressed. 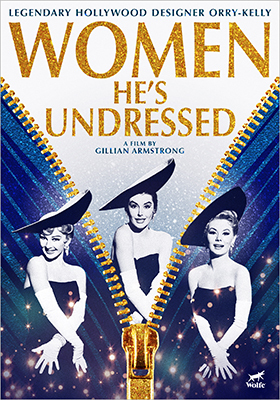 Before you get all worked up thinking about the salacious nature of the title — another Fifty Shades of Grey perhaps — Women He’s Undressed is actually a marvelous dramatic-documentary about the life and legend of costume designer Orry-Kelly, who was nominated four times for Best Costume Design (winning for An American in Paris, Les Girls and Some Like it Hot … losing out just once in 1962 for his work on Gypsy to Mary Wells and her designs for The Wonderful World of the Brothers Grimm). Filmmaker Gillian Armstrong (My Brilliant Career, Oscar and Lucinda, Starstruck, etc.) took a special interest in telling the story of fellow Australian, Orry-Kelly, who immigrated to the United States in the 1920s to pursue a career in acting — he was even roommates with another up and comer by the name of Cary Grant. But that didn’t work out, instead he began in set design and by 1930s had migrated to costume design, for which he had a special gift to work with any actor and especially actresses — in any shape or size — and make them look good. 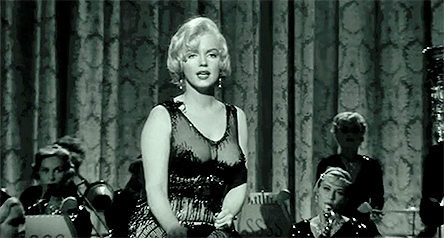 Armstrong uses actors Darren Gilshenan and Louis Alexander to portray adult and younger versions of Orry-Kelly, plus other actors for vignettes — and then blends in contemporary interviews and many vintage film clips detailing the numerous films that he worked on — over 282 film credits and a Hollywood who’s who list that includes the likes of Marilyn Monroe, Bette Davis, Rosalind Russell and Katharine Hepburn. 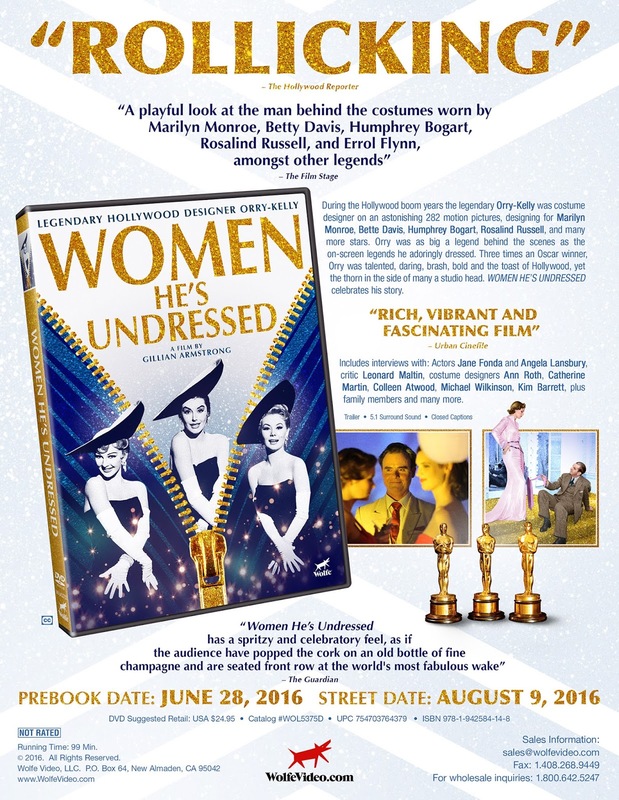 Women He’s Undressed is a fun approach to the “colorful” career of Orry-Kelly, who was a behind-the-scenes Hollywood legend in his own right. Additionally, Armstrong’s choice of Darren Gilshenan, an Australian TV star who might be unfamiliar to American audiences, to play the adult version Orry-Kelly is nothing short of inspired. For film fans — especially of those of the glorious films from the 1930s through the 1950s (when Hollywood had STARS) — Women He’s Undressed is an absolute must on DVD on Aug. 9. Former publisher and marketing executive turned documentary filmmaker, Gloria Z. Greenfield, founded her own company — Doc Emet Productions — to afford herself the freedom to work on the projects and subjects that she wanted to explore. 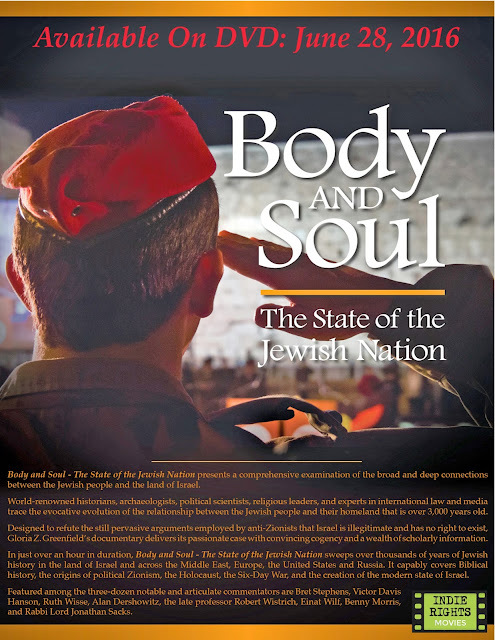 Her latest film project, the award-winning Body and Soul: The State of the Jewish Nation, has been working the festival circuit since the autumn of 2014 and will now be making its way to the wider viewing arena of DVD on June 28. Indie Rights Movies, with sales and distribution support provided by MVD Entertainment Group, will be handling the domestic release. Daniel M. Gold of The New York Times referred to Greenfield’s film as “…concise, skillful recounting of the story of the Jewish people and their connection to the land of Israel.” That pretty much nails it … simple and direct. 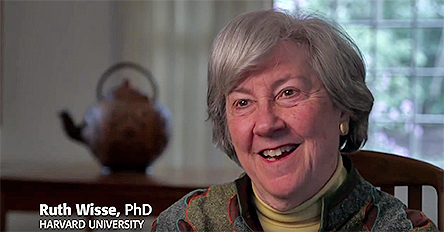 She has recruited experts to provide insights and commentary — including the likes of Bret Stephens (Pulitzer Prize-winner, editor in chief of The Jerusalem Post and author of the 2014 book, America in Retreat: The New Isolationism and the Coming Global Disorder), Victor Davis Hanson (military historian and author of such books as The Western Way of War: Infantry Battle in Classical Greece, Carnage and Culture: Landmark Battles in the Rise of Western Power and Between War and Peace: Lessons from Afghanistan and Iraq), Ruth Wisse (Professor of Yiddish Literature at Harvard University and author of If I Am Not For Myself: The Liberal Betrayal of the Jews and Jews and Power) and famed attorney and constitutional law scholar, Alan Dershowitz ... among others. 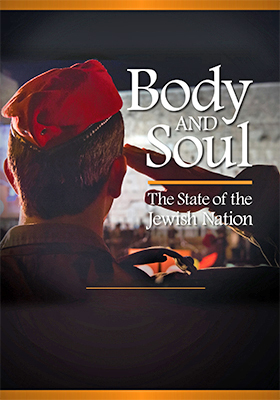 For history buffs and those looking for a concise history of Israel Body and Soul: The State of the Jewish Nation is well-worth a look when it becomes available on DVD on June 28. Bseen Media, LLC will be teaming with MVD Entertainment Group on Friday, June 10 for a double-helping of stand-up comedy with the DVD debut of both Jim Norton: Contextually Inadequate and the DVD/CD combo presentation of Jim Florentine: I'm Your Saviour. Norton takes on such subjects as Bill Cosby (a target rich environment), personal privacy — with some pretty frank sexual bits — and more. Plus, there are nine wonderful minutes not seen in the broadcast version (what could those nine minutes contain?). Florentine, of Crank Yankers-fame, took to the road with his very personal stand-up routine and refined the material through trial and error … fellow stand-up comedian Carol Montgomery handled the direction for this very funny final product, which is accompanied by a bonus CD. 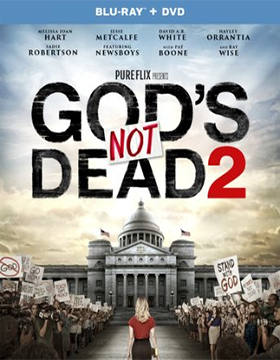 Pure Flix Productions will be teaming with Universal Studios Home Entertainment on Aug. 16 for the release of both DVD and Blu-ray/DVD Combo Pack editions of director Harold Cronk’s God's Not Dead 2. The ARR is 137 days and ticket sales — while not as robust the original — were nevertheless impressive at $20.7 million. Bullying is a hot issue in schools these days, but that issue is given a slightly different spin when high school teacher Grace Wesley (played by Melissa Joan Hart — perhaps best known to audiences as Sabrina in the Sabrina, the Teenage Witch television series from 20 years ago) dares to reference the Bible in her classroom during a session on Martin Luther King, Jr. and Gandhi. From the principal of the school to the school board itself, Grace is methodically bullied into picking between losing her job or renouncing her faith. When she declines the premise of the “Hobson’s Choice” that she has been given it is off to court they take her. The script is a set-up from the get-go. Grace will be attacked and ridiculed from all sides, but in the end her faith will prevail. For the intended audience it is a morality play with the prerequisite steps to a just outcome. With that said, there are some underlying tones that the film addresses that are becoming more and more prevalent in so-called academic circles. Indeed, the choice of focusing on a teacher as the object of the bullying, as opposed to a student, is no accident. 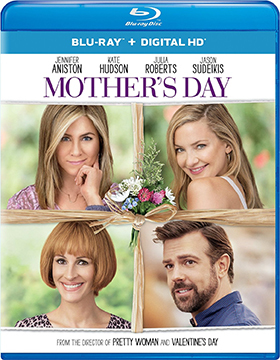 In other release news this week from Universal Picture Home Entertainment — and not nearly as controversial — is director Garry Marshall’s latest “holiday” titled dramedy, Mother’s Day (in the same ensemble vein as his Valentine’s Day and New Year’s Eve films). 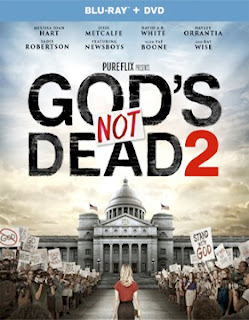 Look for both DVD and Blu-ray editions on Aug. 2. The ARR is 95 days and box office receipts currently total $31.1 million. Bonus features for this all-star film — Jennifer Aniston, Kate Hudson, Julia Roberts, etc. — include a gag reel and deleted scenes. 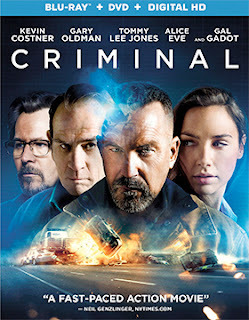 Lionsgate Home Entertainment has placed director Ariel Vromen’s action/sci-fi thriller, Criminal, on its release calendar as a three-SKU array of home entertainment product selections — DVD, Blu-ray/DVD Combo Pack and 4K Ultra HD/Blu-ray Combo Pack — for delivery to retail this coming July 26. The ARR is 102 days and domestic ticket sales were a little light at just $14.7 million. Deadpool’s Ryan Reynolds does a brief cameo as a CIA agent hot on the trail of extremely dangerous cyber criminals when he’s captured, tortured and killed. That’s the set-up for the action part … the sci-fi part comes when Dr. Mahal Franks (played by Tommy Lee Jones) has the dead agent’s memories transferred into the mind of a psychotic killer named Jericho (Kevin Costner). There’s some mumbo-jumbo about Jericho having an underdeveloped brain as the result of a childhood accident, so he’s the perfect candidate for the procedure. And, it is urgent that those memories are retrieved as Reynolds (William Pope) has hidden a hacker, “The Dutchman” (Michael Pitt), who has had a sudden change of heart when he discovered what he was hired to hack. So let’s see, someone thought that it would be a good idea to implant the memories of a skilled CIA agent, with crucial information about a hacker who has developed a backdoor into the nuclear launch codes, into the mind of an unthinking killer! What could possibly go wrong? 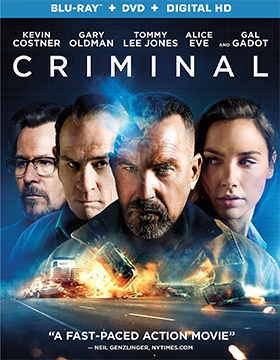 As goofy as the plot sounds, Criminal is actually a pretty solid suspense thriller that finds the natural instincts of Jericho — who is wired to kill anyone who crosses his path — with the feelings of Pope. 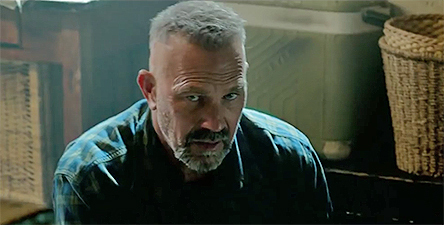 As it turns out, he is married to a woman named Jillian (Gal Gadot — as Wonder Woman in Batman v Superman: Dawn of Justice and Gisele in the Fast and Furious film series), and they have a kid named Emma (Lara Decaro) … when the daughter and mom are threatened, Jericho become their protector (normally he would just kill’em). If you enjoyed Hitman and Hitman: Agent 47, then Criminal is very similar. Lots of action with sci-fi elements … and, without giving too much away, the ending sets up a possible sequel (it seems unlikely with the box office performance, but nevertheless it is there). The web was ablaze with news at the end of March that Batman V Superman: Dawn of Justice would be released with absolute certainty on July 16. Mark Hughes has subsequently revised his online piece. 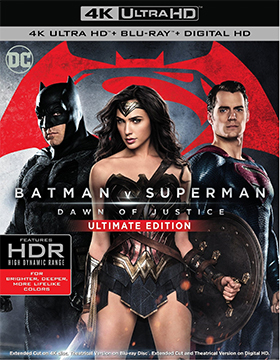 Warner Bros. Home Entertainment finally got around this week with an official home entertainment release announcement for Batman V Superman: Dawn of Justice. Director Zack Snyder’s film WILL be released on (insert drum roll) July 19. Hughes had the story, he just had the date wrong … and Warner Bros. was clever enough to emphatically point out that Batman V Superman: Dawn of Justice will “definitely not” be released on July 16 without hammering Mark Hughes or Forbes. We suspected that it would be in July — and even speculated on July 19 as being one of the likely candidates. We’ve had to wait through all of April and May to get right back to where we were at the end of March. Oh well. Planned for that mid-July release date are a double-disc DVD edition, two separate Blu-ray/DVD Combo Packs (one with a 3D viewing option) and a 4K Ultra HD/Blu-ray Combo Pack … four SKUs in all. The ARR is 116 days and domestic ticket sales were in the stratosphere at $329.4 million. The film, as it turns out, is actually just one big promotional reel for future Batman, Superman and Wonder Woman adventures. Batman has morphed into more than just a crime fighter with a cool car — the Batmobile — and his gadgets galore to become something of a superhero that can stand toe-to-toe with Superman. Superman is still vulnerable to Kryptonite. Lex Luther, the villain of the piece, has undergone some changes as well. This “junior” version — played by Jesse Eisenberg — is either permanently high on sugar or somehow related to The Joker. And then there’s the introduction of Wonder Woman (played by Gal Gadot), who is already set for a spinoff next summer (Wonder Woman) and as a repeating character in Warner Bros. Thanksgiving launch next year of The Justice League … their answer to the lucrative X-Men and Captain America franchises. As to bonus features, the DVD SKU is the theatrical release presentation, while the Blu-ray and 4K Ultra HD selections include both the theatrical presentation and an extended cut of the film … an additional 30 minutes of mayhem.